As sponsors of the February 22, 2019, Belvedere Bash at Belvedere Event Center in Elk Grove Village, Glen Lerner Injury Attorneys is hosting a ticket giveaway from February 13 – February 20, 2019. Check out our giveaway rules page for more details on how to enter. You could be one of 10 lucky winners to win general admission tickets, one of five luck winners to win ringside tickets, or one of two VIP ticket holders to win ringside tickets and dinner! 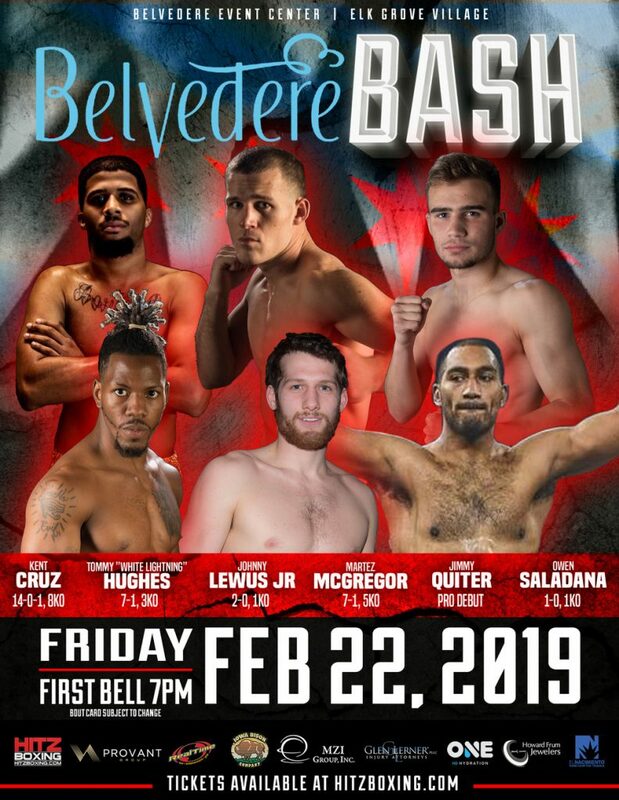 The fight card for the night (as of February 11, 2019) includes Kent Cruz, Tommy “White Lightning” Hughes, Johnny Lewus, Jr., Martez McGregor, Jimmy Quiter, and Owen Saladana. Today, Glen Lerner Injury Attorneys stands as one of the largest personal injury law firms in the country. With offices located in Oregon, Washington, California, Nevada, Arizona, New Mexico, Louisiana, Tennessee, Illinois, and Indiana, you can rest assured that we are there for you. The Glen Lerner Injury Attorneys also have additional resources across the country to help. The firm also assists with social security claims nationally and dangerous product lawsuits. For additional information, contact us today, or call 1-800-GET-GLEN. Our firm answers our calls 24/7. We look forward to hearing from you today! Follow the law firm on Twitter. Also, like their Facebook page for current updates regarding legal topics and their community involvement and contributions. Lastly, don’t forget to enter the Belvedere Bash giveaway.